Delhi is not only the political capital of India, but also one of the biggest market in the world, with billions of transactions taking place every day. Every product is available in Delhi. Its just that you need to find out where to get it at the best price. You also need to have some skills in bargaining to get the best deal. 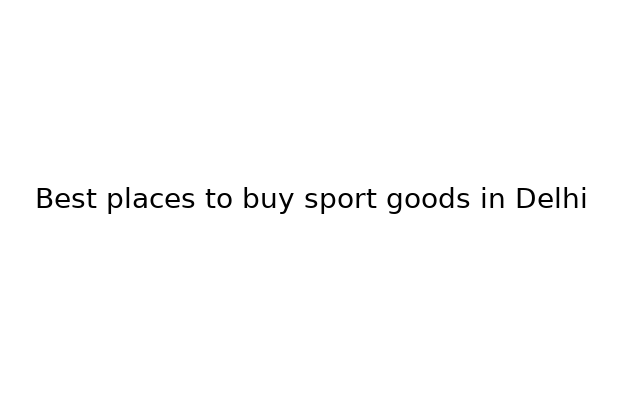 So which are the best markets / shops to buy sports products in Delhi?. 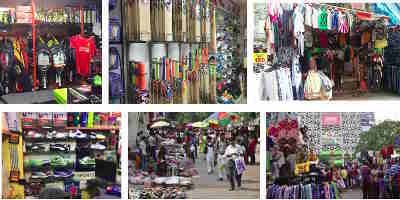 From any famous markets (like Sadar bazaar) in Delhi, you can get sports items also. There is at least one sport store in all these markets like Connaught Place, Sarojini Nagar Market, Karol bagh etc. Also some of the famous retail store branches like decathlon & other factory outlets have stores inside these markets. Products from all top brands & companies like Nivia, Cosco, Adidas, Yonex, Puma, Nike etc are available. Most of the official distributors of above mentioned brands are located in old Delhi area. You can also find some local, unbranded quality sport products from Local markets in Delhi. These are the type of sports goods you can get – fitness and gym, cricket, football, badminton, martial arts, board games & other racket game equipment. All places mentioned below are accessible through Delhi Metro, DTC bus, or online cab booking services. You can get discounts upto 30 to 40 percent. It all depends on a little bargaining skill & how much time and effort you can put to searching for stores & products. To make sure you are getting the best deals, and original products, you need to verify product authenticity & price range from other sources. You can always bargain / spend some time walking around and asking price. 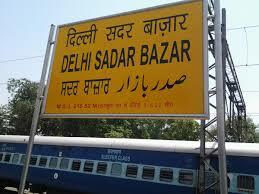 Sadar Bazaar is one of the largest markets in Delhi which is a group of numerous smaller markets. If you are a retailer, or want more than one piece of products, then the best place to buy sports items is Sadar bazaar (really low wholesale price:buy after requesting a quotation of desired items). Even if you are buying buying for your own use, you can get best deals for not only sports, but bags, toys, cosmetics, automobile parts, footwear & clothes. It is also one of the easiest place to reach by metro. It is situated in the middle of 4 metro stations. You can drop at either of Tishazari Metro (red line), Chandni Chowk or new Delhi metro station (on Yellow line), and on Blue line Ram Krishan Ashram Marg. It is also near to New Delhi Railway station/Sadar Bazar Railway station if you reach by regular rail. 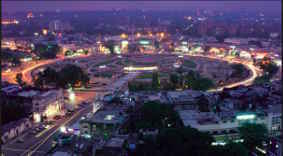 Cannaught place is one of the most busy business hub in Delhi. There are few good sports stores is this market area. Bajaj Sports is also located in this market. Lodhi sports have 3 stores in Delhi region. They are in south Delhi, Central Delhi & Gurgaon. Other than buying sports items, you can also get damaged products (treadmills, Exercise cycle) repaired. You can also do stringing of rackets, table tennis rubber pasting, or repair / replacement of cricket bat handle. This place also offers customisation of sport items for individual/group players. Many sports store like gulati sports, punjab sports house, adarsh sports, puma stores etc are located here. New diamond sports, fitnext n sports etc. Other honourable mentions are: Multi brand factory outlet – Nateh Nagar & Decathlon retail stores. From Factory outlet in jail road, Fateh Nagar, you can get both branded original & first copies of sports items. This place have good collection of sports shoes. So if you are looking for good sports shoes, this place is worth a visit. Decathlon Huda City Centre store – Along with Decathlon stores in Khel Gaon, Rohini, Tagore garden & Noida, this store also offers wide range of sport items at a reasonable price. All of these retail stores of decathlon in Delhi region are nearby metro stations and are easily accessible through Delhi Metro.